thanks for the lesson. i was wondering about the “fulled and whacked” part too. All looks lovely. 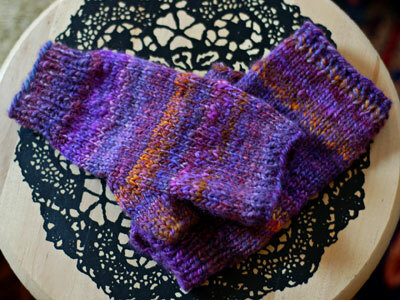 I especially love both the handspun. Pretty! I especially love that top one. Thanks for the talk on the directionality (is this a word?) 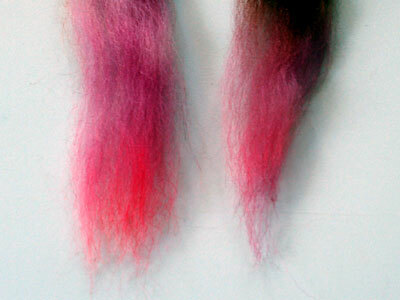 of fibers. I have read about it but didn’t know how to tell, except that one end of a top or roving was easier to draft from than the other. The pictures help so much as well as knowing that the directionality isn’t alway evident. I always wondered if I was doing something wrong because I couldn’t tell a difference in drafting from either end. Thanks so much for the information you provide, and also for letting us see your beautiful spinning & etc. so pretty. 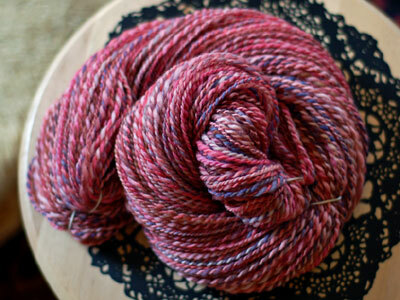 i can’t wait to see what you knit up with the Goblin yarn…. Ah, fulled and whacked! You are totally awesome and you rock. Thanks for all the useful info contained within this post. Beautiful! And thanks for the lesson. I’m waiting for the arrival of my first wheel (a ladybug from Amy). At the moment I know NOTHING about spinning, but I can’t wait to jump in. 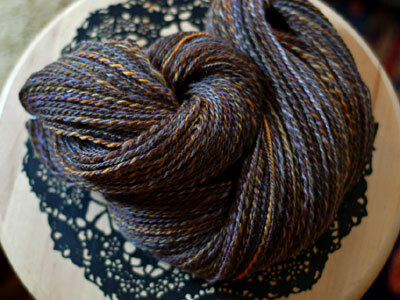 Gorgeous yarn, very informative post. Thanks! I really appreciate your technical use of the term “whacking”. We need to submit that one to Random House.